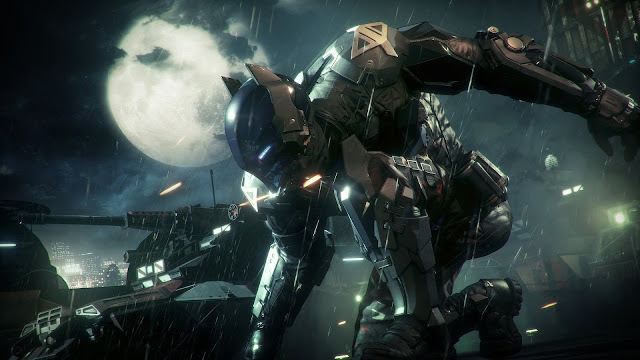 Batman Arkham Knight (AK) is an expansive world with tons of different gadgets, combat moves, characters, and much more. After my first day of playing the game, I started to notice one recurring fact: the tutorials aren't great. It seems as if Rocksteady assumes players will remember everything from Arkham Asylum and Arkham City. Even new features that are available from the start don't get introduced until much later. So here are 6 tips for players just starting out that will definitely come in handy. The map in AK is big. Really big. You can access it by pressing the View button (XB1) or Touch Pad (PS4). But the game does not tell you how to Zoom in and out. To do so, hold LT/RT (XB1) or L2/R2 (PS4) to get a full view of the map. Riddler has yet again left tons of trophies around Arkham City for you to collect. But as is the case with the previous Batman games, you won't be able to collect all of them right away. If you don't have the correct upgrades or gadgets, you'll have to come back later. But AK has introduced a new mechanic in which you can save the location of Riddler trophies to the map. To scan trophies, hold Up on the D-pad. This saves the location to your map so you can come back and figure it out later. Fear Takedowns are one of the new powerful abilities Batman has in AK. When available, "Fear Takedown" will appear in orange in the upper left corner of the HUD. But once you use it, it's gone. To use the ability again, you must perform a Stealth Takedown. If you're on the ground during stealth, one of the best places to hide is inside the grates. In AK the grate systems are much larger and interconnected. To find your way around, look for the bright blue lines in the ground which outline the path ahead. To perform a environmental takedown, press X+A (XB1) or X+Square (PS4) when an enemy is highlighted blue. Environmental takedowns include slamming enemies into electrical boxes, dropping light fixtures on enemies heads, and presumably much more. Under "Game Options" there is a setting to turn Battle Mode Toggle on which is off by default. With this setting, you no longer have to hold LT/L2 to enter Battle Mode for the Batmobile. Instead you now can press RB/R1 to toggle the mode on, and then LT/L2 becomes the brake. This is very useful for Batmobile fight in that you don't have to constantly hold the LT/L2 button down to stay in Battle Mode. I'm sure there are much more example, but these are the 5 that stuck out to me. If you have any to add make sure to post them in the comments below. Batman Arkham Knight is an awesome game, but I just wish they told us how to play it!